Distiller’s Notes Vol.1: 1816: 1 Recipe, 3 Bourbons, 8 Years in the Making. Time sure is weird. Sometimes it flies and other times it crawls. When you’re having fun and living in the moment, it’s the former. When you’re waiting on something to happen it’s most certainly the latter. 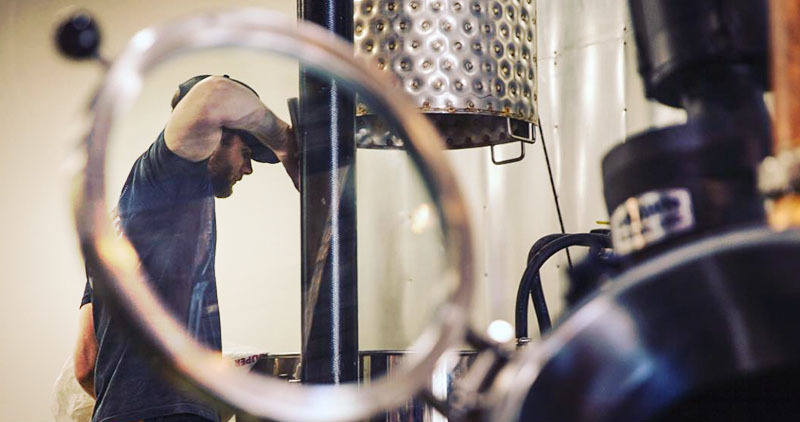 In the case of making whiskey, it tends to be a little bit of both. 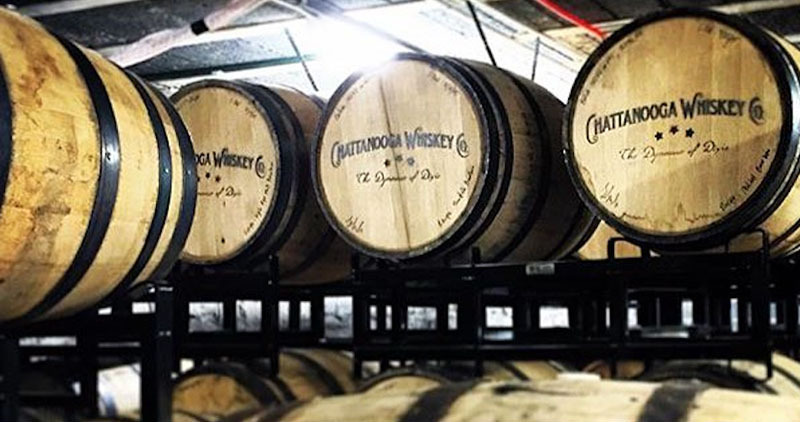 Four and a half years ago, Chattanooga Whiskey started its incredible journey to bring whiskey back to our great city. At times it seemed like it would never happen and some days felt like an eternity waiting for this, that and the other. Last year, though, we finally began distilling out of our micro-distillery on Market Street and time curiously started to hum along. Nearly 100 barrels later, we continue to tinker and experiment on our way to the next version of Chattanooga Whiskey. We can’t wait to share what we’ve been working on…but…whiskey doesn’t lie and it has told us it’s not quite ready yet. So for the moment, we keep making new whiskey and waiting patiently for our oldest experiments to yield results we can share. Until that day, we continue to look for inspiration all around us.Fortunately it’s not hard to be inspired by the very bourbon that got us to where we are today: 1816. On the verge of turning 8 years old and after winning over a half a dozen awards in 2016 alone, we’re taking the time out to appreciate what we’ve got, while we’ve still got it. 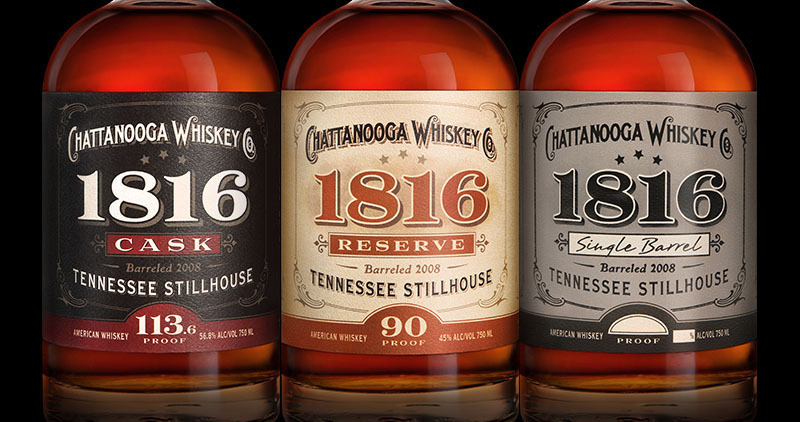 One little known fact we love to share: Chattanooga Whiskey 1816 IS a bourbon! Many people on our tours are surprised to learn that bourbon can be made anywhere in the USA. In this case, the bourbon we selected in 2011 was made and barreled in 2008 in Lawrenceburg, Indiana. Our particular recipe is 75% corn, 21% rye, 4% malted barley and a world-class example of the bourbon class. All three of our current whiskies (1816 Reserve, 1816 Cask and 1816 Single Barrel) use this same recipe, but the differences are aplenty. All of our barrels are aged within two different rackhouses in Indiana and these unique locations (as well as the locations within rackhouse) yield differences in storage conditions and thus different results in the final whiskey. We blend and bottle based on the resulting character the location brings to the whiskey which allows us to bring you 3 different expressions of the same mash bill. How does the location of each barrel of 1816 impact the flavor? Two major factors are temperature and humidity. The temperature of a rackhouse could partially be determined by its position on the property and how much sun exposure it sees over the course of the day. The exact location of the barrel within that rackhouse continues to define that micro climate. The more sun exposure and the higher up the barrel, the higher the temperature and thus higher evaporation rate through the pores of the barrel. Humidity either enhances or restricts this process. When a location is humid, whiskey vapor from the barrel hits a wall of moisture-saturated air and evaporation slows down. When the air is dry outside of the barrel though, vapor can flow more freely and evaporation speeds up. Reserve comes from a rackhouse location that tends to be slightly cooler and/or more humid. The humidity prevents as much water from evaporating and therefore the alcohol in the barrel evaporates at a faster rate than the water. When that happens, the proof can slowly drop over time. As a result, these barrels are mellower and lower in proof than some others. Cask barrels on the other hand tend to come from a hotter and/or less humid rackhouse locations. The hotter climate increases evaporation overall (see: high angel’s share), but given the lower humidity, the water AND the whiskey tend to evaporate at similar rates. For that reason, our proofs tend to be higher and the resulting whiskey is noticeably bolder and more intense. What you extract from the barrel also changes over time. Lower proof spirit tends to extract more wood sugars from the barrel, and Reserve is therefore a little sweeter and more caramel-forward. Higher proof whiskey on the other hand, extracts more wood-based flavors from the barrel, meaning Cask expresses a little more wood-forward character (hence the name!). When we decide to blend and “make” Reserve or Cask, we select barrels from very particular locations of these rackhouses to nail our target profile. Although our product continues to age and this IS a small-batch bourbon (6-8 barrels at a time), we still aim for some consistency. In the case of Reserve, we dial down our whiskey with some reverse osmosis water to 90 proof. Other than being “wet,” this water has pretty much zero characteristics – which is a good thing. We don’t want to change the bourbon to which time in the barrel has been so kind. This is not only a traditional process, but the lower drinking proof also allows the rye in the recipe to shine a little more. With Cask, we take our high-proof, high-character barrels and dial the proof down to a consistent 113.6 with slightly lower proof barrels. This whiskey therefore never touches water after being introduced to the barrel. The result is rich, velvety and very smooth for the cask strength. Finally, there’s Single Barrel which, as the saying goes, is what it is. Our single barrel is the truest form of the name: cask strength and not cut with any water. We like to select our single barrels from both Reserve and Cask locations to give our customers a good idea of the variety of our stock. In the end, what you like is all your preference…but they’re all damn fine bourbon. When I joined the Chattanooga Whiskey team in late 2014, our 1816 whiskey was 6 years old and a bit different from the whiskey that you’re enjoying today. The fruit character was brighter, the caramel slightly sweeter and the rye spice and little lighter and less earthy. Nowadays, our 8 year-old bourbon has a bit more depth and complexity. The fruit is more jammy, the caramel is more burnt and the rye character is trending on foliage. Regardless, the whiskey is still “1816” through and through, and a great example of what time asleep in a barrel can do to a spirit. As we wait together for the next Chattanooga Whiskey, take time to savor a bottle of what’s already great now. Time can move a little too fast sometimes, and sitting down with the people and things that make you happy is never a bad choice. I can’t help but think tomorrow is going to be better than today, but today is here now, so let’s enjoy it while it lasts.